The 1st cohort of the Lahore School Incubation Lab (LSIL) are now LIVE! 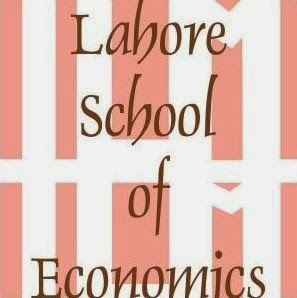 To be eligible, you have to be Lahore School Alumni as well as available for full time to join LSIL for an incubation period of 4 months. Office Space: Fully equipped office space with computers/laptops, a dedicated fiber connection, Wi-Fi, 24/7 power backup, and telephone line. The housed entrepreneurs would also have access to six hybrid Resource Centers offering access to digital repository along with huddle rooms (to be booked in advance) for discussions and formal meetings. Mentorship: We can help startup founders by arranging training sessions, networking events, webinars and lectures with these distinguished professionals for mentorship and advice. Co-Workers/Interns: Incubates may ask for the Lahore School student interns or graduate associates to assist them with research and their startup. Training: LSIL aspiring incubates would also get to attend training sessions from veteran entrepreneurs and industry executives, dedicated to equip them with tactical education, methodologies and tools necessary for their entrepreneurial journey. Funding Opportunities: Take benefit of our broad spectrum faculty and management connections to generate stream of referrals and leads to find the right investor for your business. Refreshments: The facility has a built-in self-service kitchenette equipped with microwave, water dispenser and refrigerator. On the house coffee/tea would also be available to facility users. Mail Services: Feel free to make LSIL your business address. For any official correspondence between your startup and external parties; the Lahore School postal services can be availed.